A community garden initiative doesn’t begin with a harvest or a locally-grown meal. 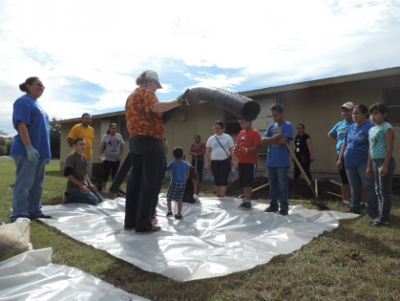 It begins when a group of dedicated parents, teachers, volunteers, and students gather on an open plot and roll up their sleeves to break ground. 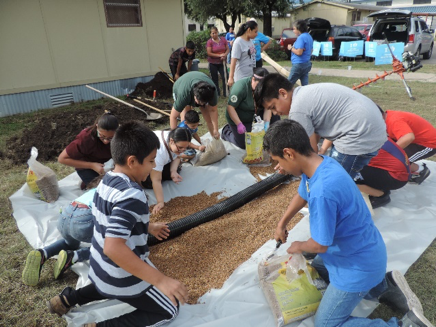 For the Dove Springs Community Garden at Consuelo Mendez Middle School, this moment took place on a bright morning on Saturday, October 1st. People of all ages – gloved and ready with shovels, pickaxes, and wheelbarrows – took turns in small groups to dig holes, trenches, and mounds, arrange gravel and piping out on tarps, and direct machinery. So, what was under construction? Wicking beds and a garden entry way, which will host a sign created as part of a student-design challenge. Mendez Middle School, an EcoRise campus in Austin ISD, launched its brand new Maverick STEM Academy this year, with Dr. Sherry Lepine at its helm. As the former STEM Director at Small Middle School, Dr. Lepine brings years of experience implementing STEM education with a sustainability focus. Throughout the morning, Lepine ensured that the workday was a learning experience for every volunteer. Math teacher Ramona Pope involved students in calculating the correct dimensions for two wicking beds, based on the available supplies. 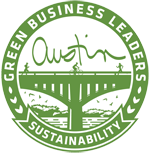 Lepine – featured holding a piece of piping in the image at the right – then taught volunteers about the value of wicking beds over traditional raised beds, especially in a water-stressed city like Austin. “We’re going to have a pipe with a cap with a hose here,” she instructs those around her. “And you fill up the bed and we’ll test it out and make sure that it works!” Wicking beds water soil from below, rather than above, and are ideal for community gardens because their structure allows the bed to be watered once a week instead of every day. Lepine’s visions for the garden project involve elements of hugelkultur, or mound gardens constructed with natural and woody debris. “We’ll also be doing future workdays where we show some other ways to garden, [including] berms and swales,” which are long, manmade ditches that store and filter standing water. Lepine, along with STEM academy teachers like Stryker and Pope, also plans to conduct campus Eco-Audits focusing on waste and public spaces, to increase recycling and composting on campus, and increase the use of public spaces like the Dove Springs Community Garden. To support EcoRise students in building their community-based solutions, click here to donate to the Student Innovation Fund. EcoRise inspires a new generation of leaders to design a sustainable future for all. Our school based program empowers youth to tackle real-world challenges in their schools and communities by teaching environmental literacy, social innovation and hands-on design skills.